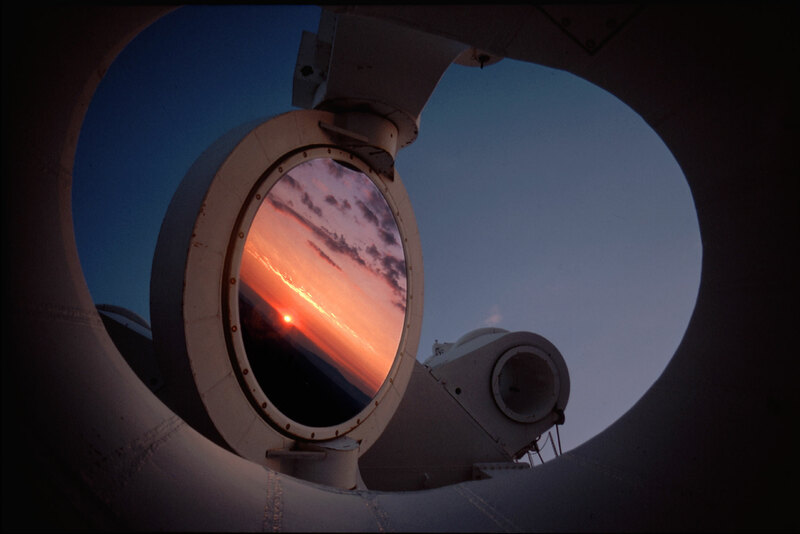 The interior lights are on in this dusky view of Gemini North, as it prepared for nighttime observation. Two large vent gates and the dome slit are open to help equalize air temperatures inside and outside the dome. 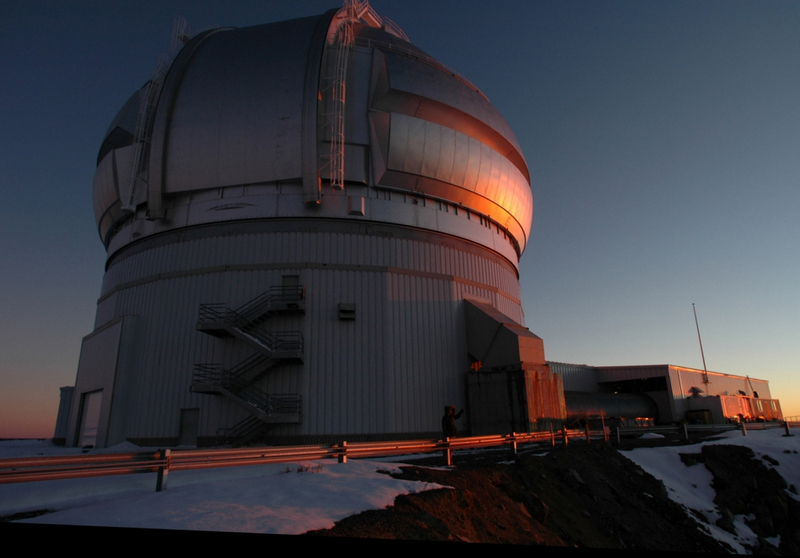 Sunset portrait of Gemini South, located on the summit of Cerro Pachon in central Chile. 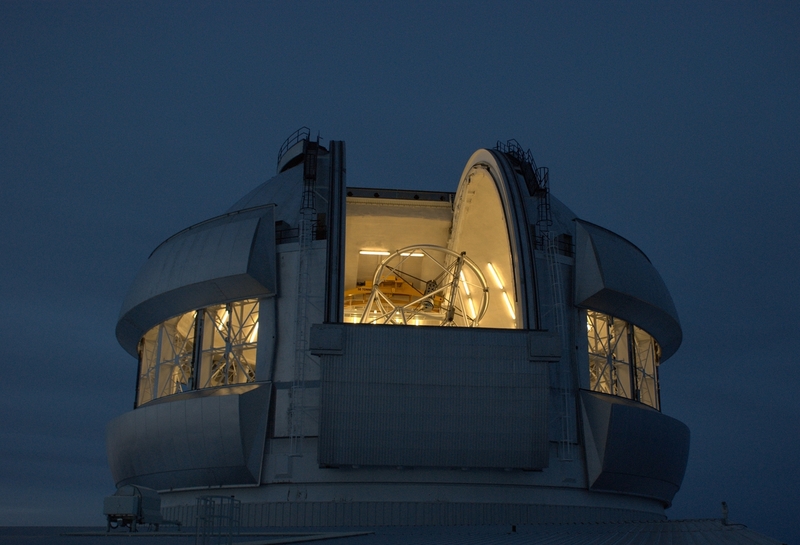 Here, Dr. Rachel Mason assesses sky conditions before a night of observing. 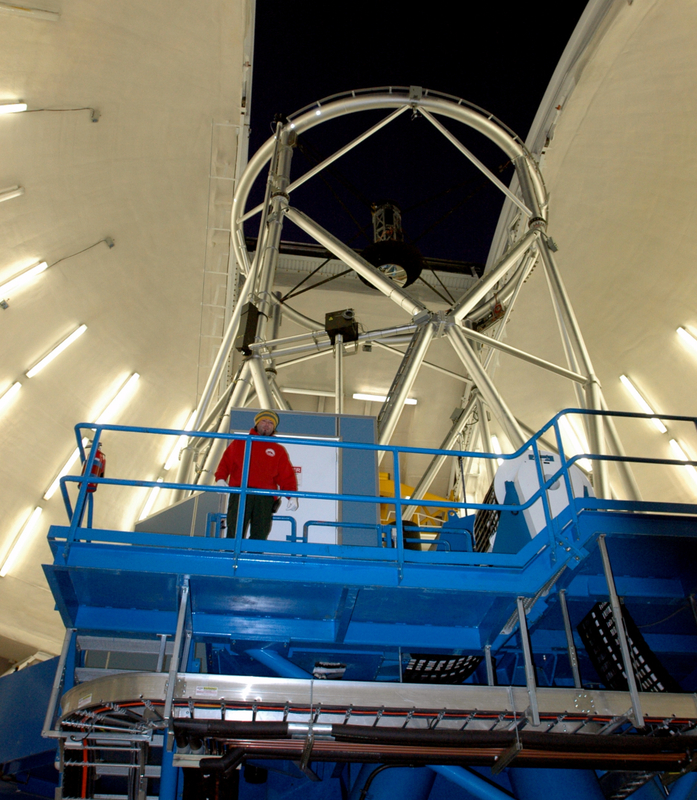 Tony Matulonis stands on the catwalk of Gemini North while he prepares the telescope for observing. 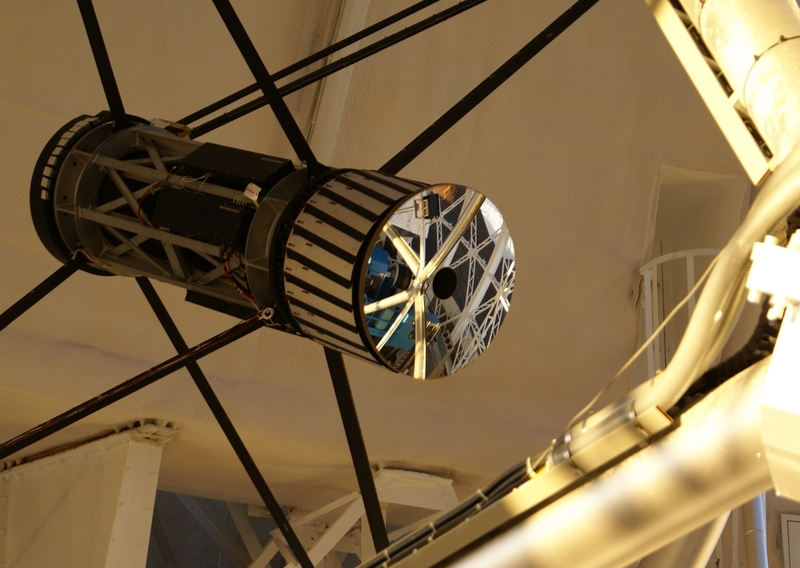 The Gemini telescopes are roughly 75-feet tall and weigh approximately 350 tons. View of the Andes Mountains from Gemini South. 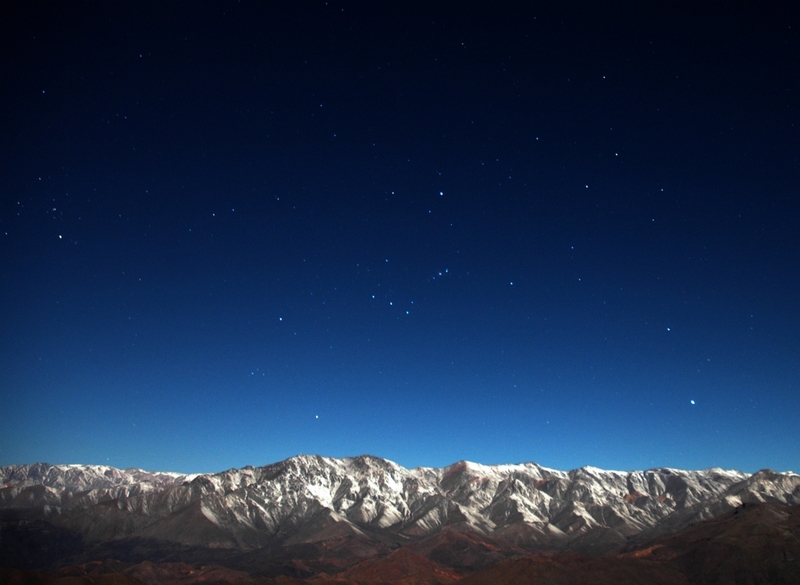 The constellation Orion is visible just above the snowy peaks, in an “upside down” orientation for people who live in the Northern Hemisphere. 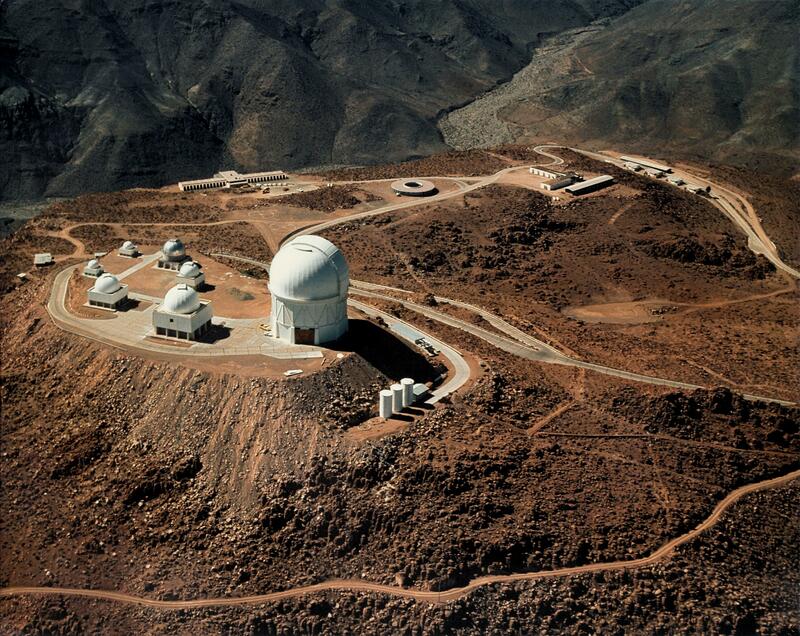 Aerial view of Cerro Tololo Inter-American Observatory in Chile, taken in the late 1970s. 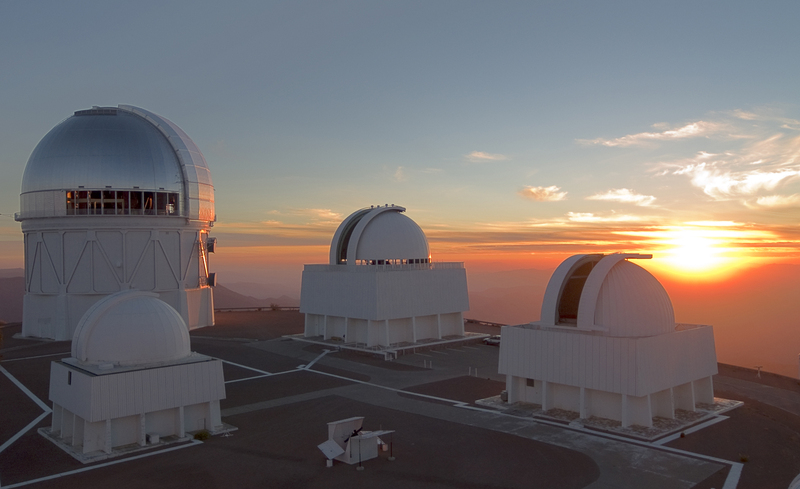 As the sun sets, the telescope domes at Cerro Tololo Inter-American Observatory in Chile open their shutters in preparation for a night of observing. 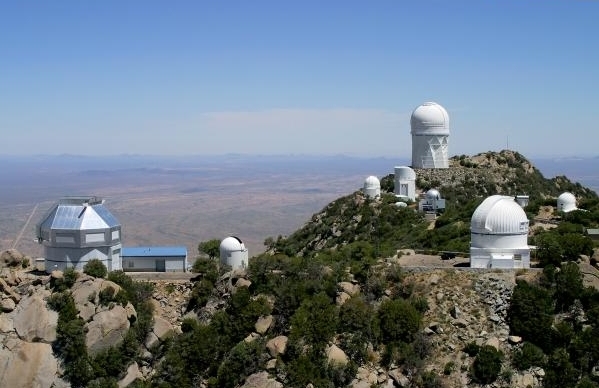 This 1993 aerial photograph of the Kitt Peak mountain, some 50 miles west-southwest of Tucson, Ariz., shows the current configuration of the large collection of telescopes maintained and operated by the National Optical Astronomy Observatories (NOAO). 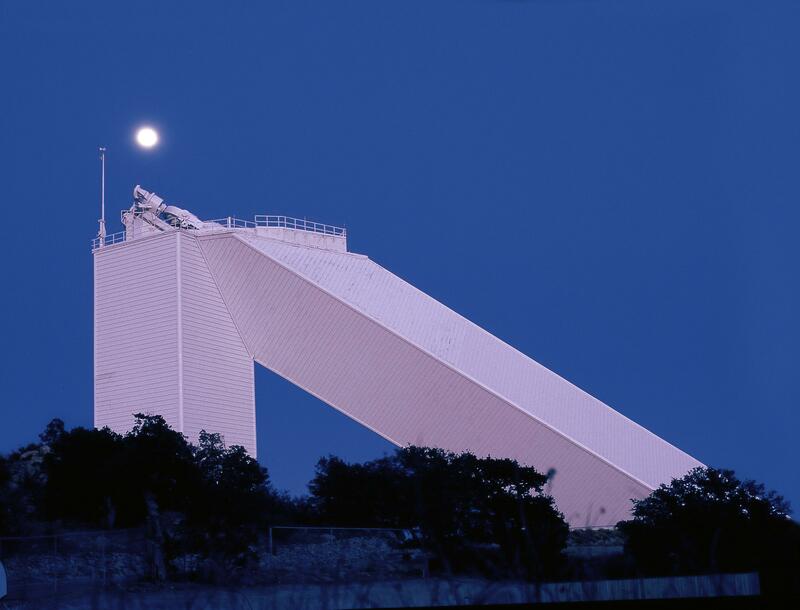 A twilight view of the McMath-Pierce Solar Telescope (with the moon shining in the background) on Kitt Peak, the largest solar telescope in the world. The Heliostat of the McMath Pierce Solar Telescope on Kitt Peak at sunset. 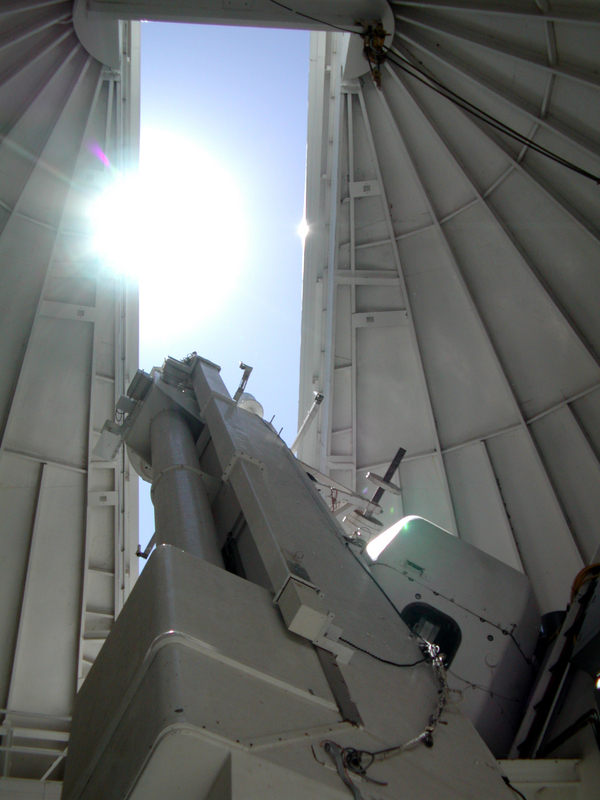 Sunlight floods through the dome aperture of the Evans Solar Facility at NSF’s National Solar Observatory (NSO) in Sunspot, N.M. Its instrument scans the corona to produce maps used in predicting upcoming solar activity. 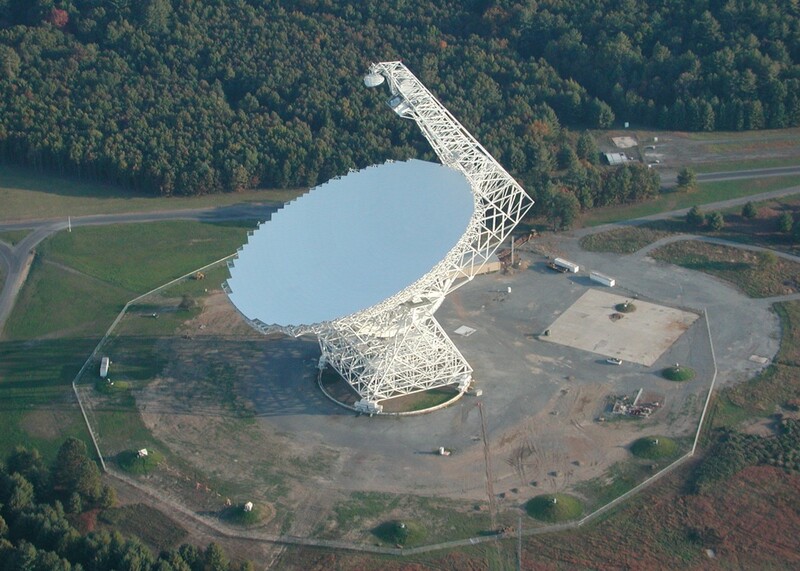 The Green Bank Telescope (GBT) is the world's largest, fully steerable radio telescope. It is located in Green Bank, W.Va., in a quiet, radio-free zone. 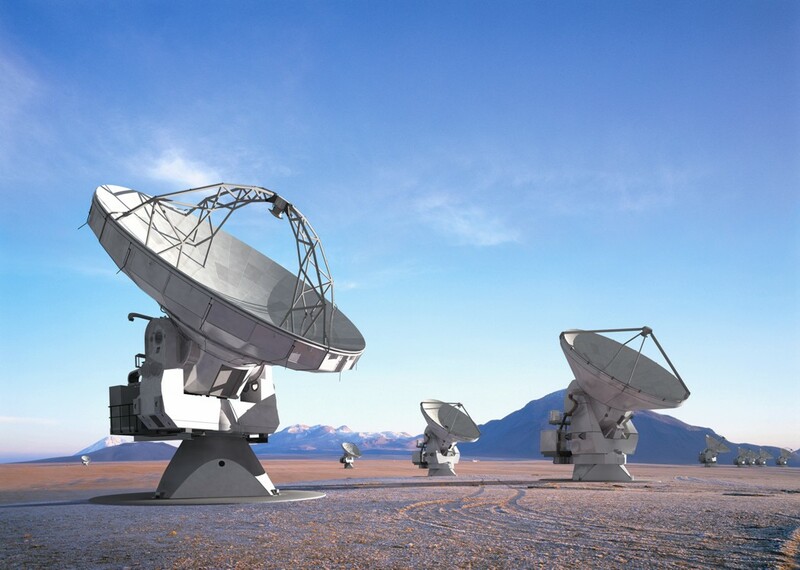 An artist's conception of the antennas for the Atacama Large Millimeter Array (ALMA). 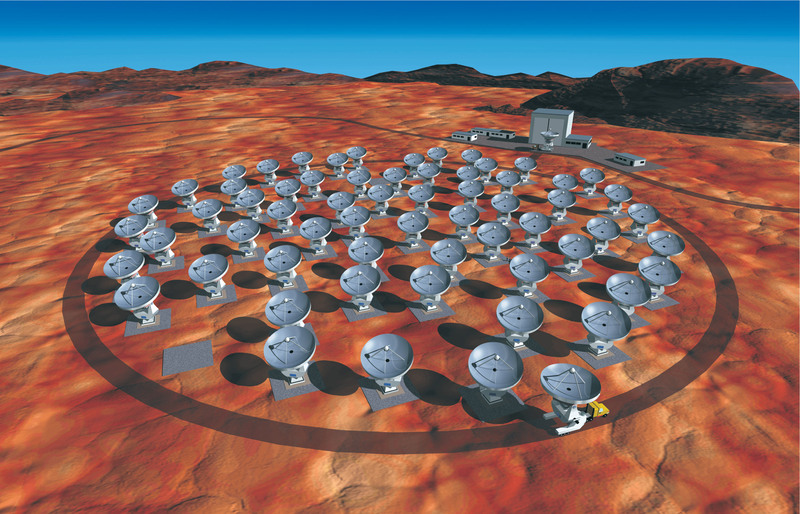 An artist's conception of the Atacama Large Millimeter Array (ALMA) in compact configuration. 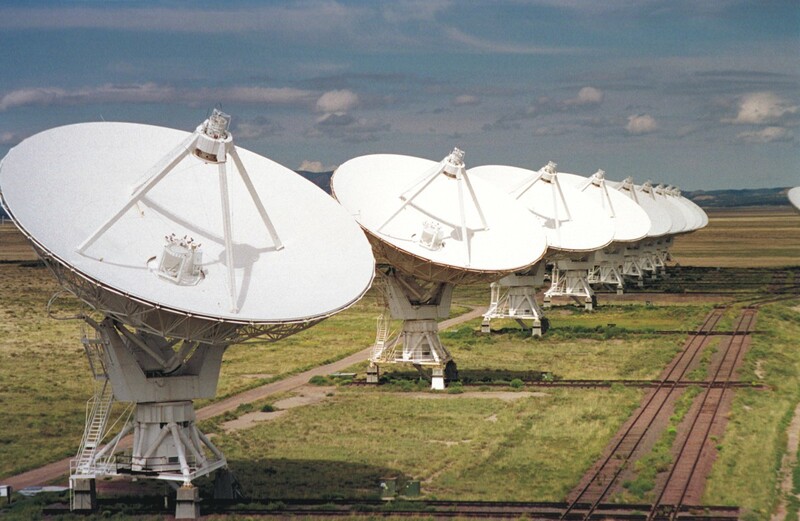 When construction is finished in 2011, ALMA will be the world's largest and most powerful radio telescope, operating at millimeter and sub-millimeter wavelengths. The Very Large Array (VLA), one of the world's premier astronomical radio observatories, consists of 27 radio antennas in a Y-shaped configuration on the Plains of San Agustin, 50 miles west of Socorro, N.M. 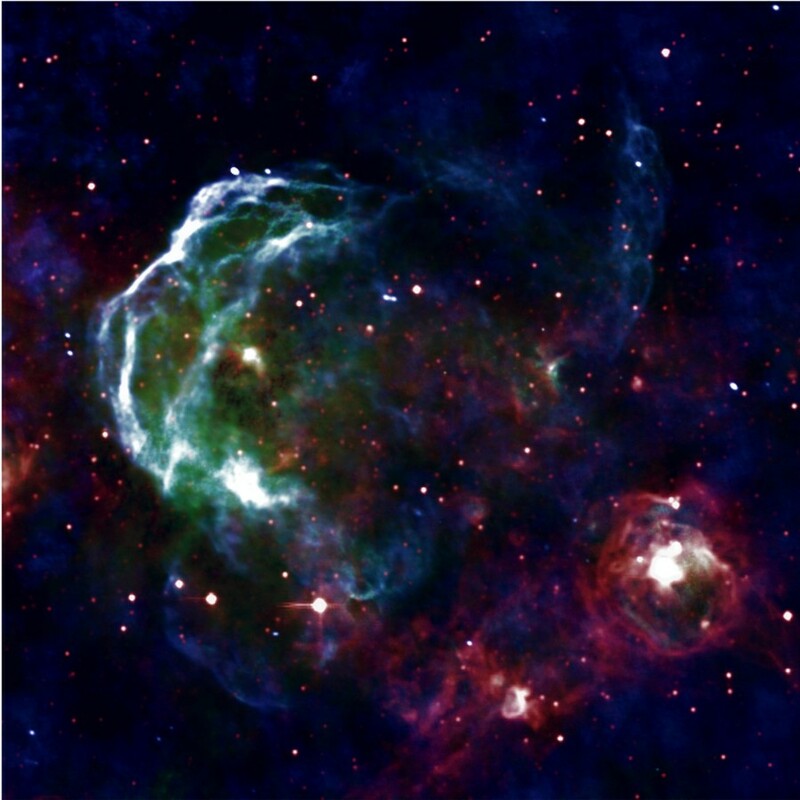 This shell of hot gas is the remains of a star that exploded around 30,000 years ago, probably the remnant of a core-collapsed supernova, which occurs when a star runs out of fuel for nuclear fusion, collapses under its own weight, and then rebounds, producing a shock wave. The shock front is shown in blue-green radio waves, visible from the Galactic Plane Survey (captured by the Very Large Array radio telescope). Infrared data from the MSX satellite is shown in red. 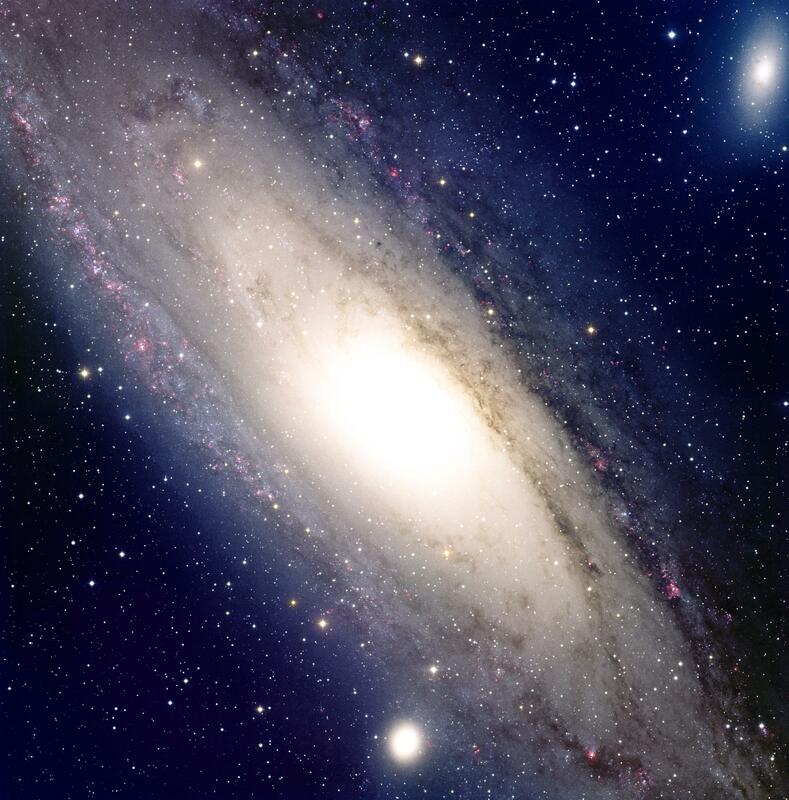 Taken at Kitt Peak using NSF's 0.9-meter telescope and the NOAO Mosaic CCD camera, this is an image of the Andromeda galaxy, located in the constellation of Andromeda, the Princess. This true-color image was created by combining images taken in seven filters: U (violet), B (blue), V (green), R (orange), I (red), Hydrogen-Alpha (red) and Oxygen [OIII] (green). A wide-field image of Pickering's Triangle taken with NSF’s Mayall 4-meter telescope at Kitt Peak National Observatory. 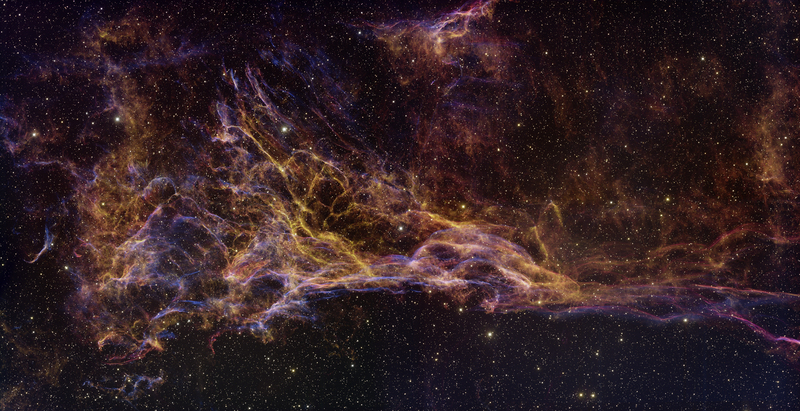 Pickering's Triangle is part of the Cygnus Loop supernova remnant, which includes the famous Veil Nebula, located about 1,500 light-years from Earth, in the constellation Cygnus, the Swan. The Crab Nebula (left), located in the constellation of Taurus, is the remnant of a supernova in 1054 AD, observed as a "guest star" by ancient Chinese astronomers. The Crab Nebula (M1) (right) is the remnant of the earliest known supernova explosion, recorded by Chinese astronomers in AD 1054. A novel technique, Homogeneous Mosaicing, developed by radio astronomers during NRAO’s design of the Atacama Large Millimeter Array, enabled this more accurate radio image. 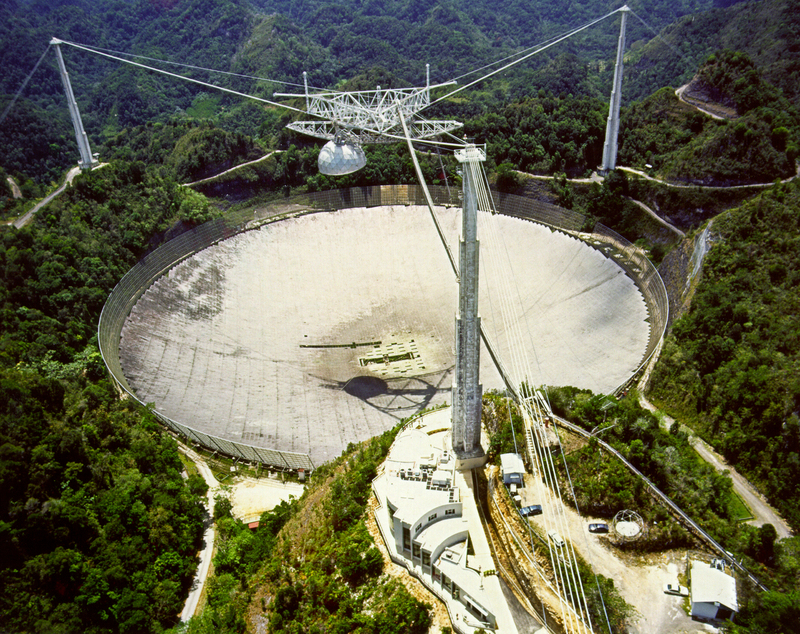 Arecibo Observatory in Puerto Rico simultaneously observes the same targets, simulating a telescope more than 6,800 miles in diameter. 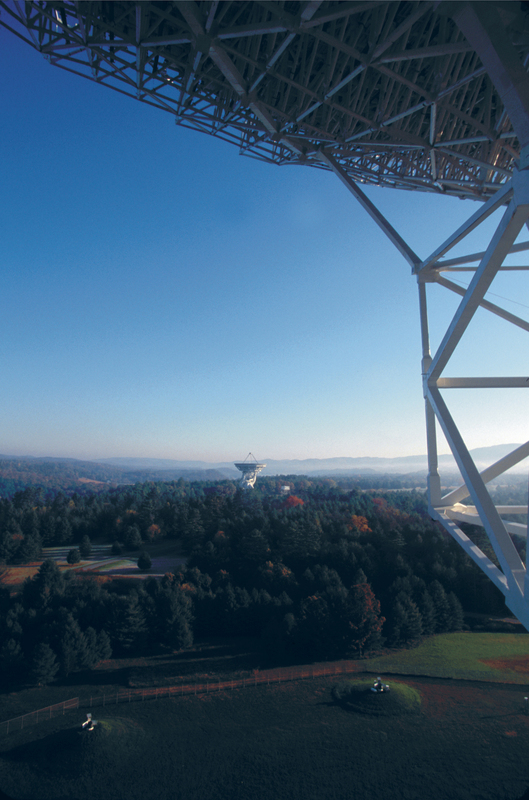 May of 2008 marked a live demonstration of their first four-continent, real-time, electronic Very Long Baseline Interferometry (e-VLBI) observations.